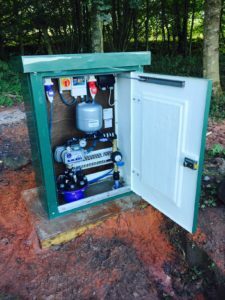 Raeburn Drilling & Geotechnical Ltd were contacted on June 2016 regarding the construction of a waterwell for a new build distillery at Aberargie, Perthshire. Following this we consulted Doug Bates of Geodivining International. Doug is a water diviner and speciailises in finding the best locations for maximum yield potential. 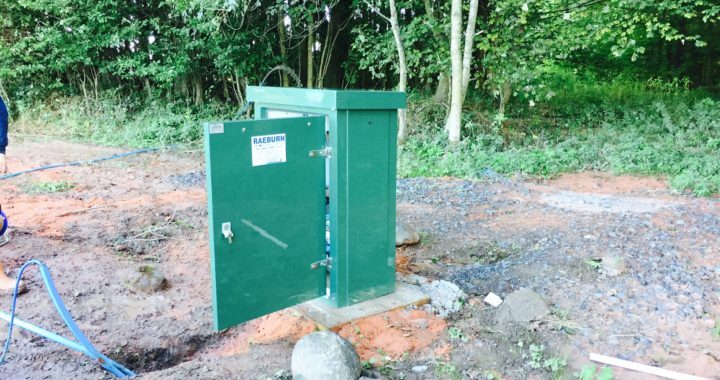 After constructing a 100 meter borehole a yield test proved this well was capable of producing in excess of 37,000 litres per hour. In a matter of weeks, clean water samples had been obtained and the final installation was completed (see left). For more information on private water supplies please contact our team on 01698 711177, we’d be happy to help. ← Raeburn Goes Super Sonic!